Which animals are on the brink and how can we save them? There are 700 species at risk of extinction. Which animals are on the brink and how can we save them? Canada has such a rich biodiversity that it can be surprising to hear that more than 700 species are at risk of extinction. But sadly it’s true. While the future may seem bleak for these species, it doesn’t mean things can’t change for the better. Just look, for instance, at the Peregrine Falcon, White-top Aster, Buffalograss and the Shorthead Sculpin — their situations have all improved! Let’s see if we can turn things around for these species below that are currently assessed as Endangered by Committee on the Status of Endangered Wildlife in Canada (COSEWIC), a committee that provides advice to government on the status of wildlife species at risk of extinction. There are many threats facing this species including a high predation rate on hatchlings, egg poachers, entanglement in fishing gear, collisions with boats and marine pollution. 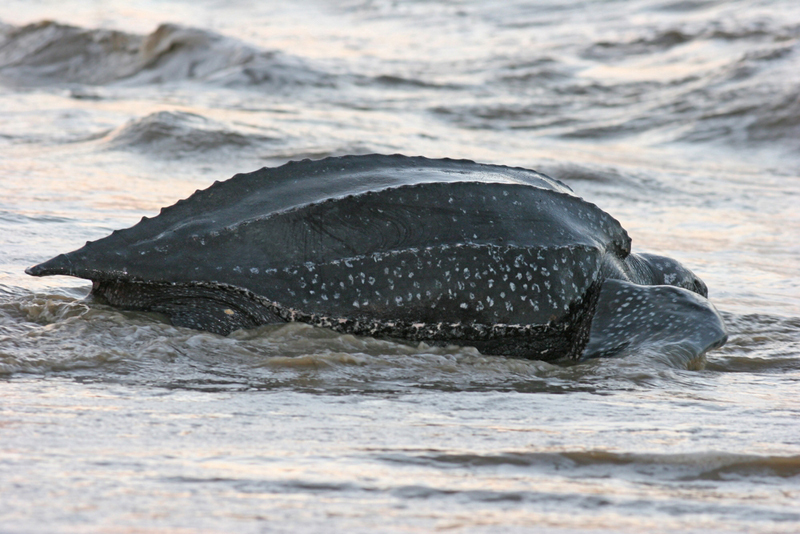 Leatherback Sea Turtles evolved around 100 million years ago — that’s right, they were around when dinosaurs were alive! They are named after their leathery shell which is different from the hard shells of other sea turtles. They can weigh as much as 900 kilograms, making them the largest living sea turtle. Their main prey is jellyfish. Instead of teeth they have cusps that they use to grab their prey. Their esophageal tract is lined with sharp spines that work to shred jellyfish into pieces. There are many threats facing this species including a high predation rate on hatchlings, egg poachers, entanglement in fishing gear, collisions with boats and marine pollution. 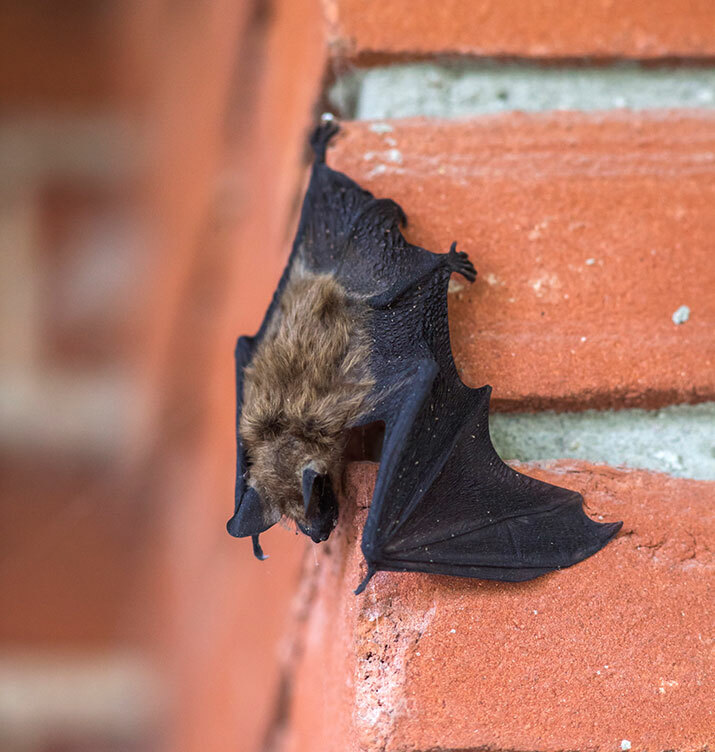 It’s hard to believe that not long ago, this was the most common bat species in Canada. But since 2010, their population has declined by 94 per cent from Nova Scotia to Ontario. The Little Brown Myotis weighs between seven and nine grams, about the weight of eight standard paper clips! Females are slightly larger than males but otherwise they look the same. They can be found in all provinces and territories of Canada, although there are only occasional records for Nunavut. They do not usually migrate outside of Canada, but can travel up to 1,000 kilometres between their summer roosts and winter roosts. It’s hard to believe that not long ago, this was the most common bat species in Canada. 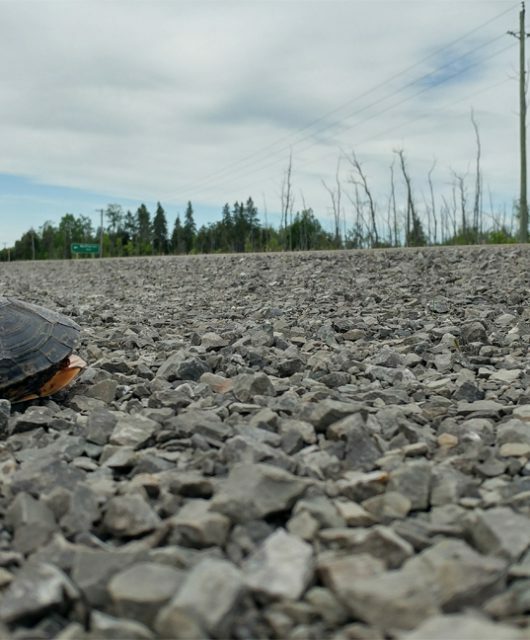 But since 2010, their population has declined by 94 per cent from Nova Scotia to Ontario. The cause — white-nose syndrome. This disease is caused by the fungus Geomyces destructans. It is believed to have originated from Europe and brought over by cave explorers. The fungus grows on their nose and other non-furred areas during their hibernation. This causes bats to wake more often than usual which rapidly uses up their fat reserves. Along with the impact this fungus has had on two other bat species, this is considered by some scientists to be the most rapid decline of mammals ever recorded. Other threats faced by the Little Brown Myotis include habitat loss and pesticides. As of 2015, the Canadian population is estimated at about 270 individuals. 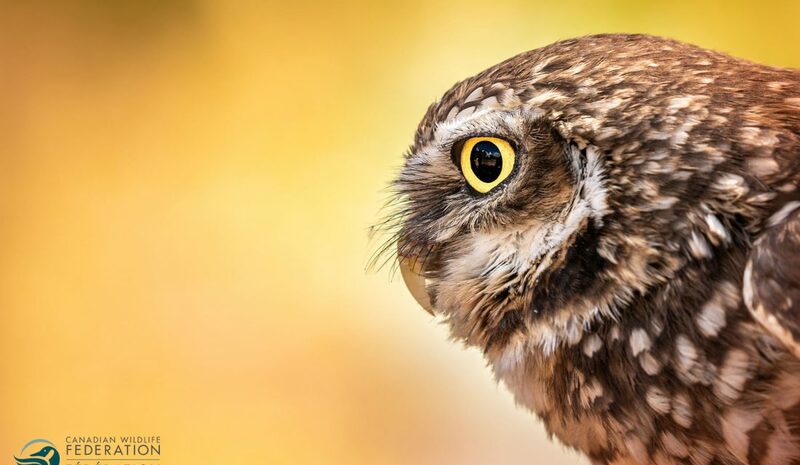 Burrowing Owls are smaller than a pigeon, standing about 20 centimetres in height and weighing between 125 and 185 grams. The main Prairie population breeds in Alberta and Saskatchewan, but they can also be found in very low numbers in southwestern Manitoba. There is also a small reintroduced population in southcentral British Columbia. They have a preference for dry short-grass prairie and use abandoned burrows of ground-dwelling mammals including prairie dogs and ground squirrels for nesting, resting and storing food. Over the past 40 years, this species faced a significant decrease in density. While the conversion of grassland to cropland may have been a significant factor for their past decline, their current threats include loss of prey, severe weather and impacts from the expansion of renewable energy. As of 2015, the Canadian population is estimated at about 270 individuals. Gypsy Cuckoo Bumblebees measure 12 to 18 millimetres in length. They have been found in every province and territory in Canada, except for Nunavut. However, since 1991, they have only been recorded in Ontario, Quebec and Nova Scotia. Their habitats include mixed farmlands, open meadows, urban areas and the boreal forest. An interesting fact about this bumble bee is that they don’t have worker bees. Mated females instead find a host nest and after killing the host queen, she lays her eggs which are then looked after by the host worker bees. The main threat to this bumble bee is the loss of host bumble bee populations including the Rusty-patched Bumble bee, Yellow-banded Bumble Bee and the Western Bumble Bee; species that are also listed as at-risk by COSEWIC. Ship strikes and entanglement in fishing gear are the most common causes of death for these animals and now less than 450 individuals remain in the world. The North Atlantic Right Whale grows to about 16 metres in length, with females measuring about one metre longer than males, and they can weigh up to 63,500 kilograms. That’s twice the weight of a transport truck and the same length as one! They come to Atlantic Canada to feed on zooplankton. In 2017, 12 North Atlantic Right Whales died in Canadian waters representing what is likely the highest mortality event for this species since commercial whaling was banned in 1937. Ship strikes and entanglement in fishing gear are the most common causes of death for these animals and now less than 450 individuals remain in the world. The main threats facing this species in Canada include the use of herbicides and the loss of milkweeds. 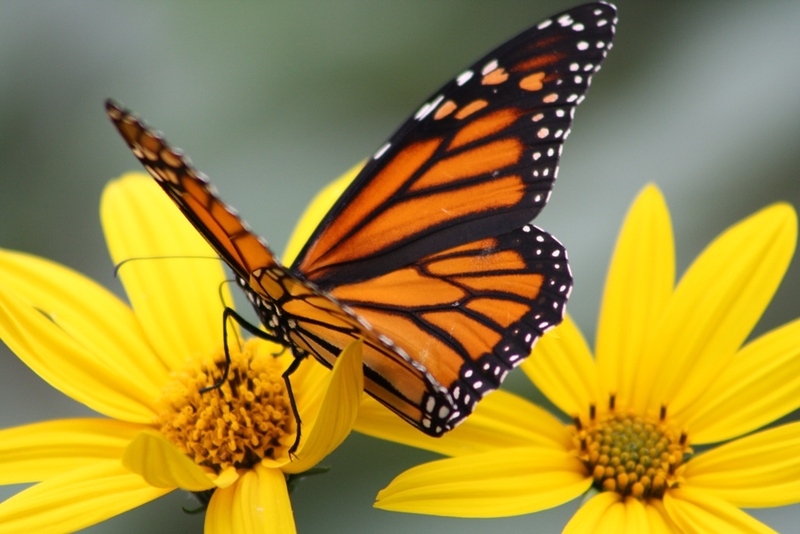 I think most of us are familiar with the Monarch Butterfly – that iconic orange and black butterfly. They are found in all ten provinces and the Northwest Territories. Eastern Monarchs overwinter in the mountains of Central Mexico whereas western Monarchs overwinter in coastal California. Milkweeds are extremely important as it is the only food plant for Monarch caterpillars. The chemicals found in milkweeds make the caterpillars and adults unpleasant tasting to many birds. The main threats facing this species in Canada include the use of herbicides and the loss of milkweeds. Let’s change the seemingly bleak future for these, and all species at risk. It’s happened before, let’s do it again! It is not clear who first said, when the last tree Is cut down, the last fish eaten, and the last stream poisoned, you will realize you can’t eat money; it is clear, however, nobody is listening. 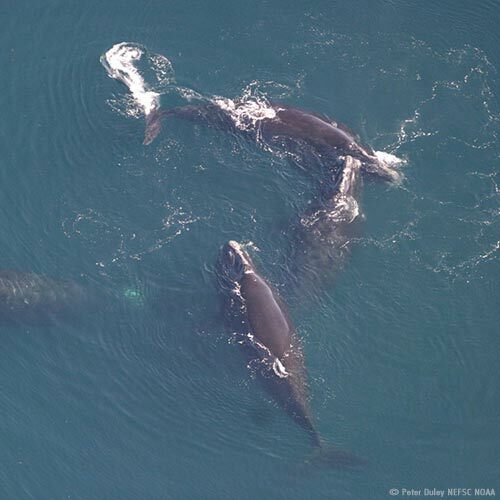 It’s extremely hard to see the smallest of our animal population so compromised and that the right whales fighting for a place in this world! Government must protect, protect and protect! We have to be the guardians of our precious animal population! It takes millions of years for all these amazing creatures to evolve, then just a few short years for modern day humankind to destroy them. So sad. Please keep up the good work, CWF. We need to identify who and what companies and government the polluters are and then go after them with a concerted effort to protest against them. Take them one at a time just as groups such Avaaz and Sum-of-us are doing.